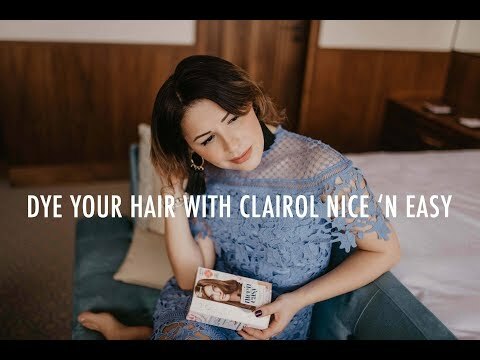 Sometimes it’s better to switch off and reconnect to yourself, and to the beautiful nature that surrounds you. I’ve always loved the outdoors, and I remember a few years back I was hiking all the time, I was spending time with my friends at the mountains, taking trips to amazing places and discovering the world directly. Now life happened in the meantime and I found myself stuck to a desk for days, looking after a baby and not even going out for a few minutes. I believe a lot of people like me can admit this situation has become the norm when living in the city, when you’re a mom, or when you’re just so busy you forget to look out the window. 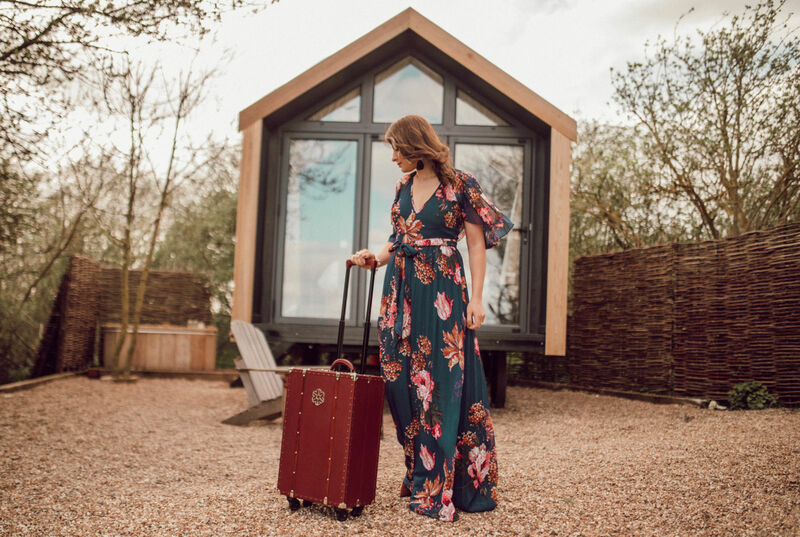 That’s when booking a stay in one of the Plankbridge luxury huts at Elmley Nature Reserve can change your life, literally. We’ve spent only one night there and it was almost enough to recharge our batteries. 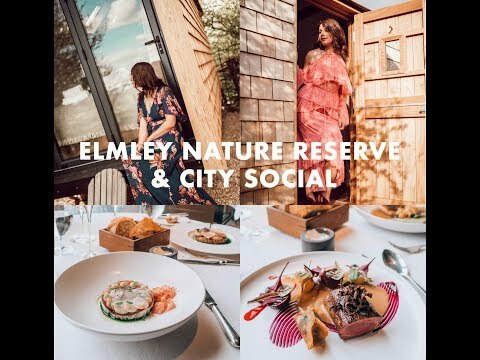 Elmley is a 3,200 acre estate based on an island in the Thames, situated away from the bustle of North Kent, just an hour from London. 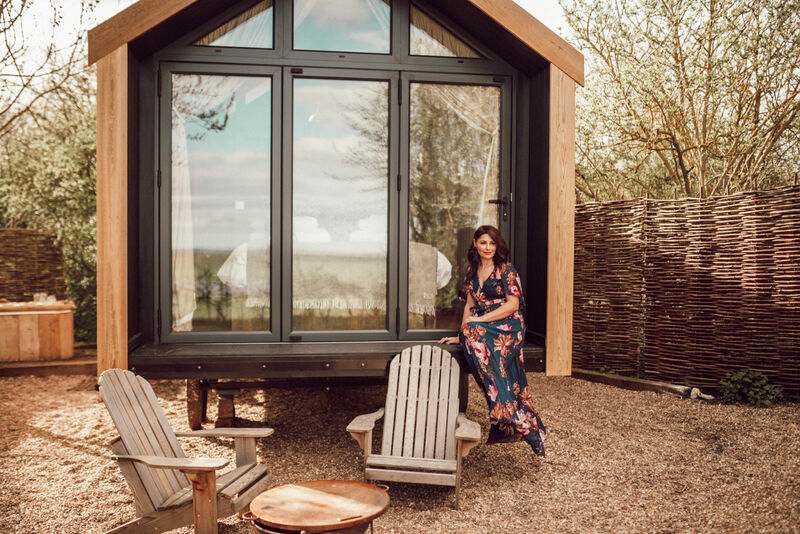 The perfect escape from your daily routine, you could stay in comfy cosy huts built by Plankbridge, surrounded by inspiring scenery and wonderful wildlife. We were lucky to go on a beautiful spring day, when the nature was coming back to life and the sky was so blue! We could actually see the stars at night, something we’re deprived of in gloomy London. There are hundreds of species of birds and wildlife on the property. We could see rabbits and foxes wondering around on the vast sprawling landscape. 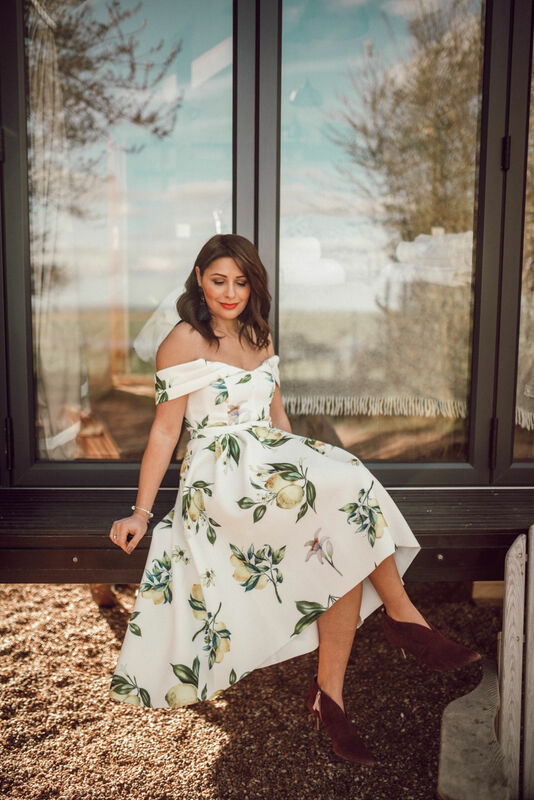 This is the perfect place for families, couples, friends who are looking to escape to the countryside and feel truly at one with nature whilst still remaining warm and protected. Elmley Nature Reserve is known for its spectacular scenery and the wide array of wildlife on display. Wander the grounds and take in the sights whilst gazing upon hundreds of species of birds, as well as hares darting around, owls swooping down and seals fishing in the river. I was never much of a camp girl. Although I loved nature and spending time exploring the outdoors, I could never see myself spending time in a tent in the middle of the dangerous wilderness. Which is why I loved even more staying in one of the Plankbridge huts. There are five huts on the reserve and each of them offer comfort and beauty. 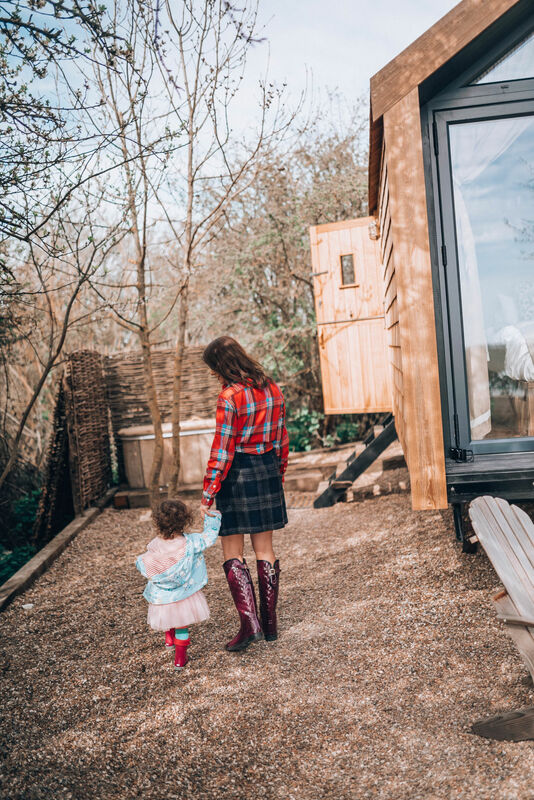 Whether you’re in one of the modern dwellings with big windows offering breathtaking views, or one of the more rustic cosy cabins, you can experience the same beautiful nature. The comfy living spaces have comfortable beds, a kitchen area and a toilet with shower, everything anyone could ask for. The craftsmanship and design of the huts are impressive, really well made, lasting for generations. I am seriously thinking about ordering a hut for my backyard. 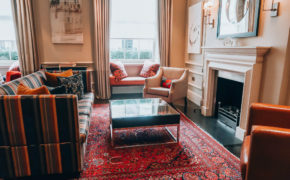 It will make an amazing guests room, but you can also use it as a garden office, a teenage den, an extension of your home, really stylish, which you can take with you when you move house. 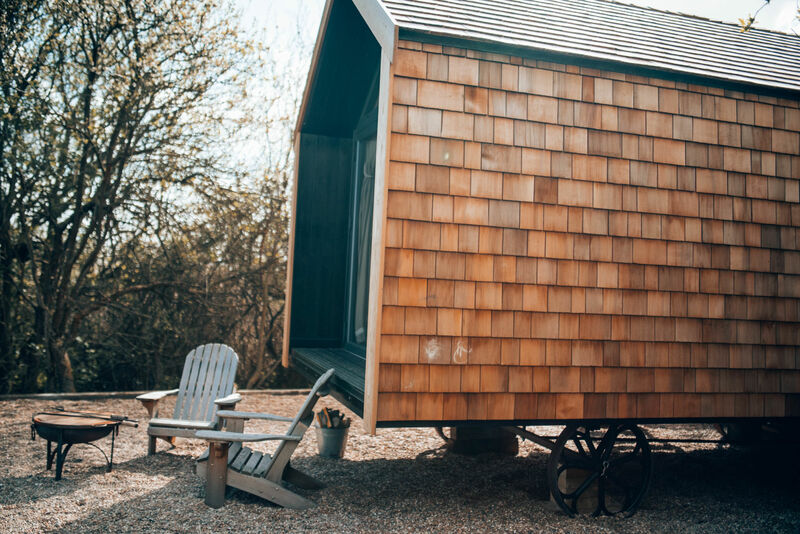 There are so many options to choose from when ordering your own shepherd’s hut, only one think won’t change: the quality and attention to detail needed to create an individual extension to your home. The Plankbridge luxury huts come with a 20 year guarantee and are built to last using the finest quality materials. 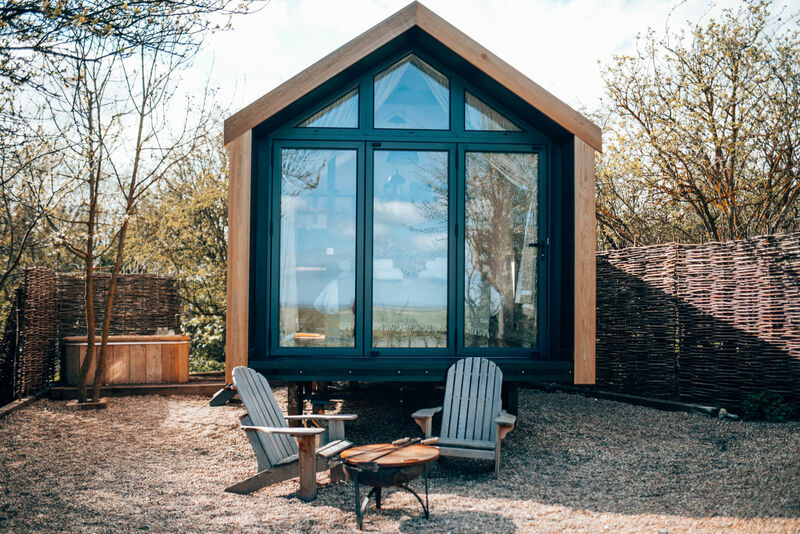 Low maintenance wriggly tin or durable Finnish thermowood cladding, insulated timber-lined walls, English oak doors and windows, strong metal chassis and solid cast iron wheels. They have even won four gold stars at RHS Chelsea for their craftsmanship and ingenuity. The Prince of Wales has a hut at Highgrove if you needed another seal of approval. We stayed in the Damson, which has a floor to ceiling fully opening glass bifold doors perfect for stargazing at night. 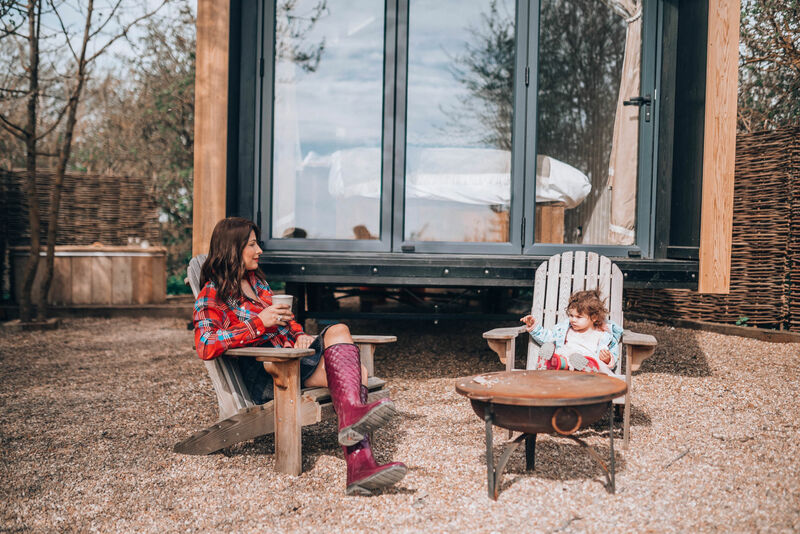 If you prefer more traditional shepherds huts with vintage chic design and a rustic feel, Elmley has got two cabins fitted with wood burning stoves and no electricity. The hut has a wood or gas burning stove along with access to home-cooked meals that can be delivered to your door. We had dinner brought to us in a rustic basket and it was earthy, delicious and cooked with local fresh ingredients. 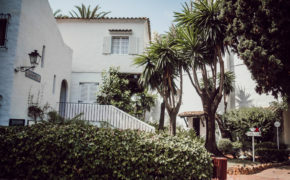 These charming and comfortable huts are ideally placed to offer guests unrivalled access to all of this and more. 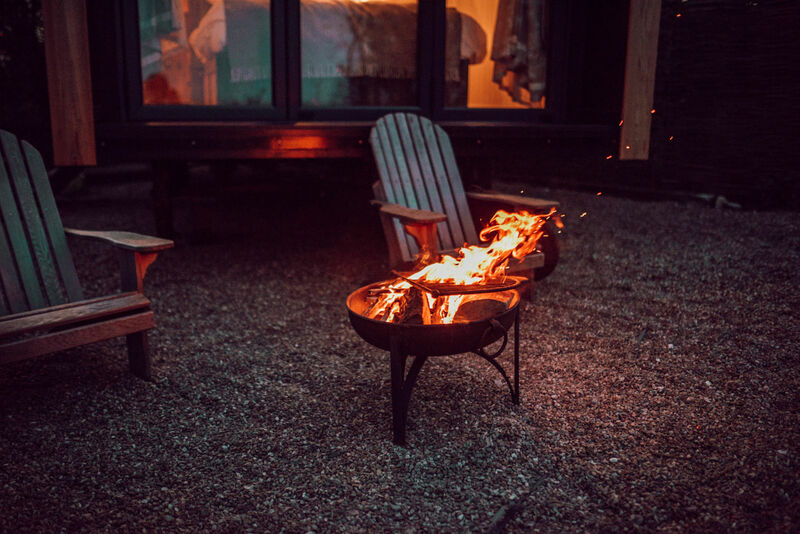 You can just spend time at the Reserve, relaxing all day long in the hut, taking all the sun in and fresh air outside on the comfortable chairs, making a barbecue on the fire pit, or admiring the wildlife. You can also soak in the Damson’s outdoor bath. There’s also plenty to see and do in the area. Explore the pretty towns of Sheppey, Whistable and Faversham. You can also head onto the Kent Downs known for stunning beaches. Canterbury is close by and you can also visit the amazing Leeds Castle. 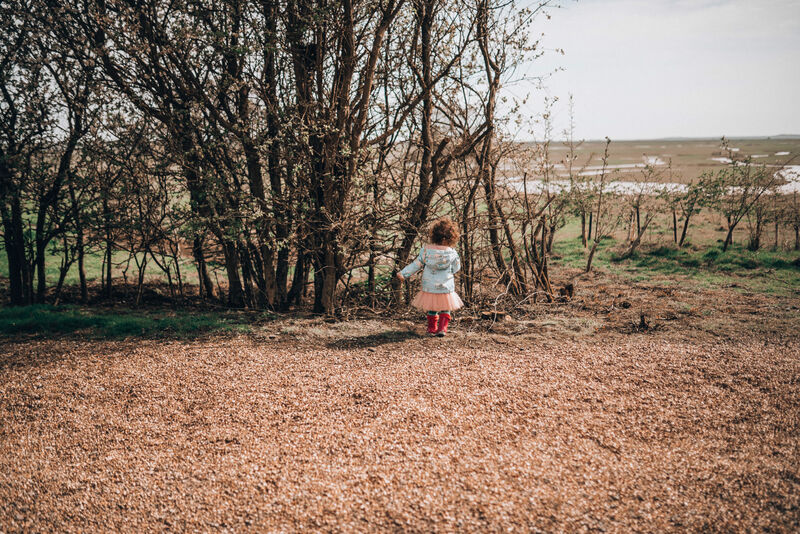 With epic marsh views and sunrises, Elmley is a stunning destination to unwind and detach from the busyness of the city. 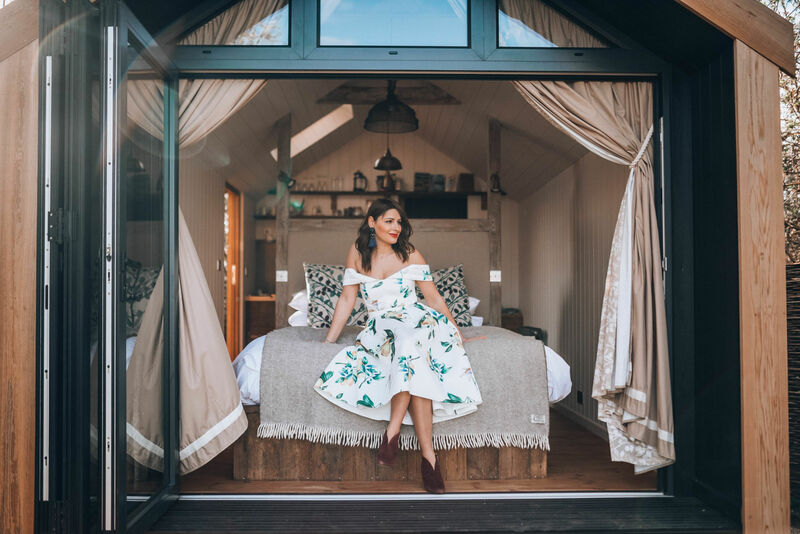 We absolutely loved spending time there, and Emma slept through the night which was a first! The fresh air really helped. She was running around the entire day all happy. I was finally smiling because staying in one of the Plankbridge huts you feel this serenity and peace and you just wish the time stops for a little longer.